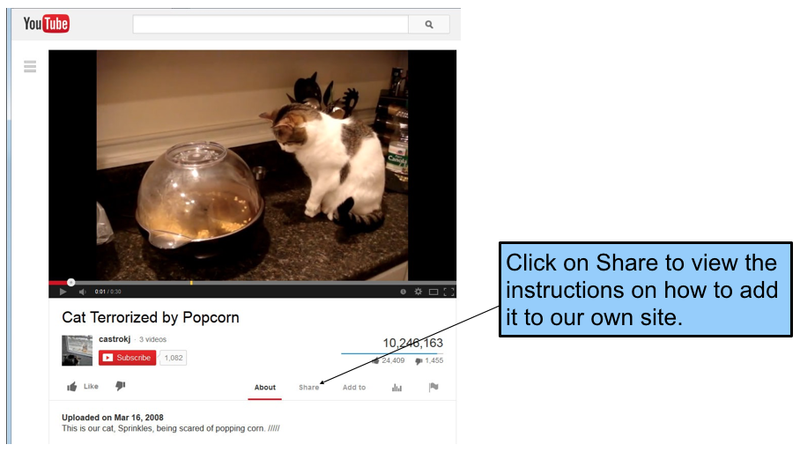 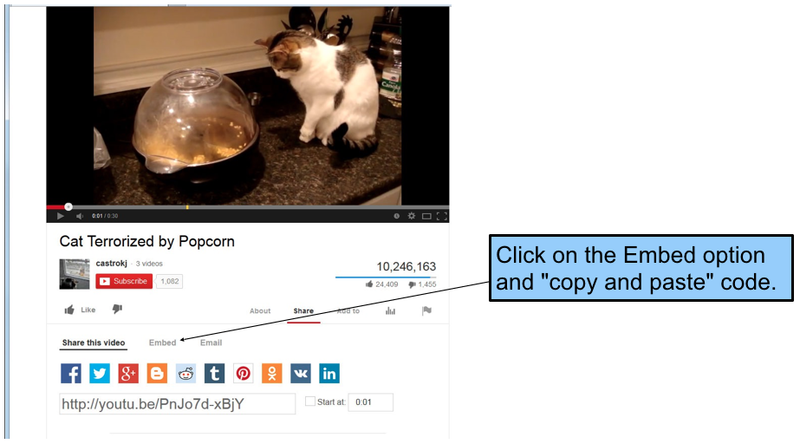 Videos can make our pages more interesting and engaging. 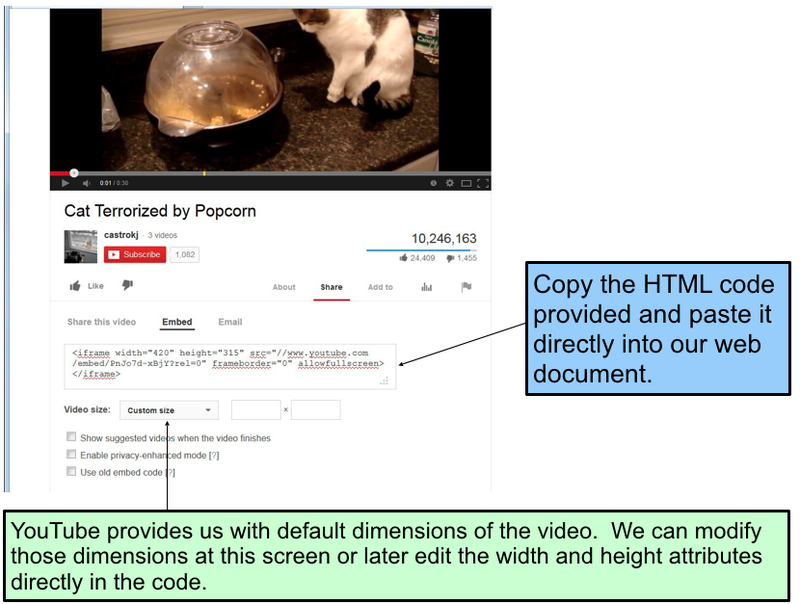 Most video-hosting services, such as YouTube, will provide us with HTML code ready to copy and paste into our web page. 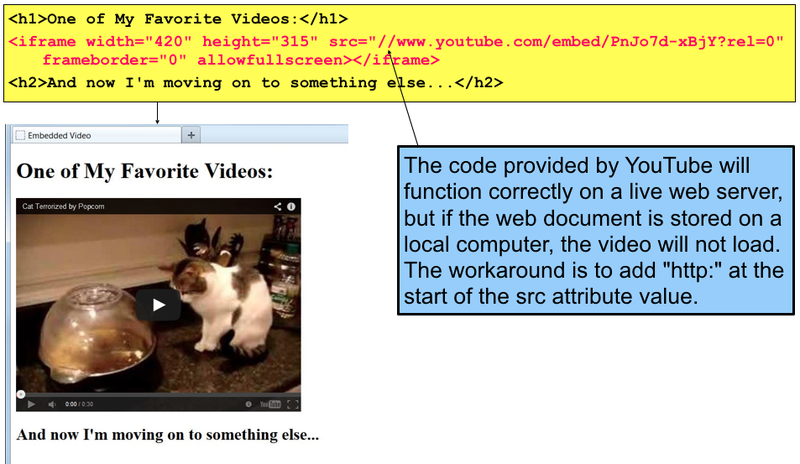 Video-embedding code provided to us might not be XHTML valid, requiring us to make some small changes before the page will pass validation.